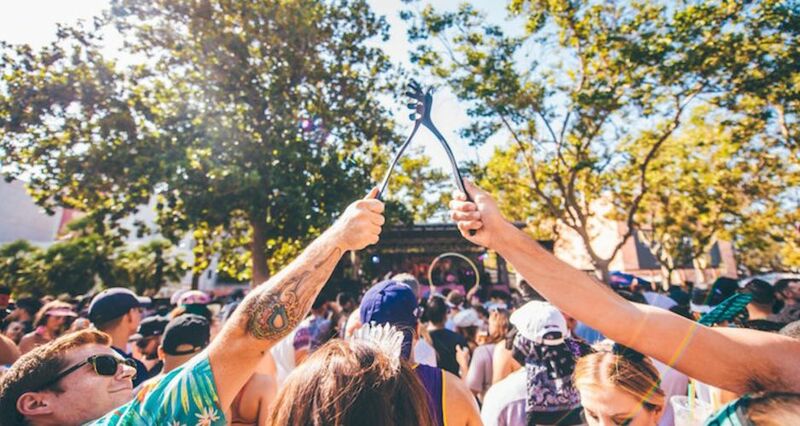 DIRTYBIRD BBQ 2019 is only a couple of months away and as if you weren’t already excited, the label just dropped the lineups for all five parties that are about to commence. Label boss man and camp host, Claude VonStroke strives to provide us the best campout experience of our lives, so this year he’s bringing along friends Justin Martin, J. Phlip, Ardalan, Steve Darko, Will Clarke, Sacha Robotti, Christian Martin, and many more to five lucky cities around the US. Starting in the Bay Area on May 4th, camp goers will find Justin Martin, brother Christian Martin, J. Phlip, Worthy, and Ardalan serving up the sizzling beats. Both of the Martin brothers will be making multiple appearances along the tour: Justin in Los Angeles and Brooklyn and Christian in Austin and Denver. The Los Angeles stop on May 5th will also include the sloth king Sacha Robotti, Justin Jay, and Wyatt Marshall vs Lubelski. The Austin BBQ will see the likes of Walker & Royce, the aforementioned Christian Martin, Ardalan, Steve Darko, and VNSSA. Denver will welcome ZDS along with J. Phlip and VNSSA. Lastly, the Brooklyn BBQ will see Gene Farris, J. Phlip, Joeski, Steve Darko, Codes, and house-music darling, Will Clarke. As an added special touch to the last camp of the summer, you can enter to win flights and a pair of tickets for the Brooklyn show, along with special DIRTYBIRD merch, a signed vinyl from Clarke, and some one-on-one hang-time with the bearded wizard himself. Enter to win here and check out the full list of lineups below! and check out the full list of lineups below!